Being an extremely popular person in school, he is always surrounded and admired by people. 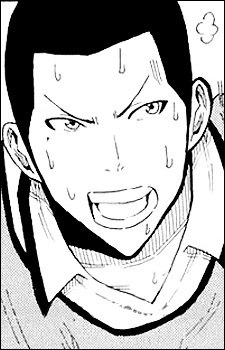 However, back in middle school, he was an average guy with closed-cropped hair because he was in the baseball club. He invited Sumeragi Chiyako, the girl he likes, to watch his game, which was unfortunately cancelled halfway due to a storm. Vexed, embarrassed, and realising his efforts went down the drain, he simply wished to be "reborn". Upon entering high school, his body underwent a growth spurt and his acne was gone. Aware of his growing popularity, he began carelessly hanging out with friends, but realised his only cool side was his good looks. It is only when he sees Sora's hard work that he strived to change himself.